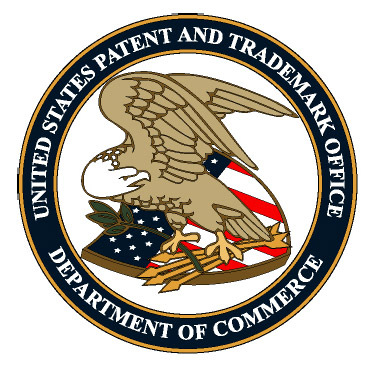 The USPTO is seeking applications for the position of Administrative Trademark Judge at the Trademark Trial and Appeal Board. The announcement is open until August 23, 2018. Further details may be found at the USA Jobs website, here. The judges of the Trademark Trial and Appeal Board (TTAB) are responsible for hearing and deciding adversary proceedings involving oppositions to applications, petitions to cancel registrations, and concurrent use proceedings; and for hearing and deciding appeals from final refusals by trademark examiners to allow the registration of trademarks. Each appeal and adversary proceeding shall be heard and decided by at least three judges of the TTAB. 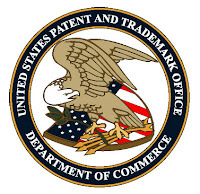 - Exercise original jurisdiction in inter partes proceedings in the Patent and Trademark Office arising under the Federal trademark registration statutes; for example, opposition to an application for registration, consideration of applications to register as lawful concurrent users, and petitions to cancel registrations. In these inter partes proceedings, judges serve in a capacity similar to that of a trial judge and work in conjunction with TTAB attorneys conducting interlocutory proceedings, for determining interlocutory motions, and for issuing final decisions on the merits of cases, after briefing and, in some instances, oral arguments of adverse parties. - Exercise appellate jurisdiction in adjudicating ex parte appeals from refusal of the examiner of trademarks to register a trademark. Such appeals are decided on records created during examination and on the briefs and, if requested by the applicant, oral arguments. - Evaluate the evidence, arguments, and citations to authority, presented in the foregoing contested trademark cases and appeals, and render written decisions which explain the reasoning and conclusion of the Patent and Trademark Office. These decisions are rendered in accordance with the conclusions reached in conference by a majority of the judges sitting for each case, as a panel of the Board. A judge may decide to author a dissenting opinion when the judge is not in agreement with the majority opinion. The proceedings must be conducted with imagination, discernment, and ingenuity for the purpose of detecting any improper practices or attempts to secure unjustified advantages and otherwise to preserve the legal, equitable, and procedural rights of the parties and ensure fair and expeditious conduct of the proceedings and final determination on the merits. The proofs presented by the parties, as well as their briefs and oral arguments, may involve voluminous testimony, documentary and physical exhibits, and other evidentiary material which must be analyzed and appraised in accordance with the established rules of evidence, to ascertain admissibility, weight, sufficiency, and pertinency to the issues. The judges’ findings in these particulars are incorporated into final decisions in accordance with sound legal principles and precepts. The preparation of such decisions requires outstanding skill in analytical techniques and in clear, comprehensive, and effective applications of legal logic, in addition to a thorough knowledge of, and application of, the common law and statutory trademark laws, the rules of evidence, and general principles of related and ancillary legal subjects. While serving in the capacity of judge, the incumbent must conduct herself/himself with deportment of the highest order to ensure and maintain the dignity of the TTAB. Board judges must command the respect of the practicing attorneys and others with whom they come in contact because of their positions on the TTAB. The decisions of the TTAB are final in the Executive Branch and are subject to review, through appeal, only by the U.S. Court of Appeals for the Federal Circuit or by civil action in a U.S. District Court. Supervision and Guidance Received:The TTAB judges serve under the general administrative direction of the Chief and Deputy Chief Administrative Trademark Judges, TTAB. All adjudicatory functions are performed without supervisory review, although performed in concert with other assigned judges on each panel.